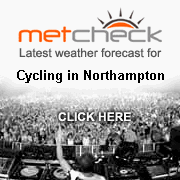 CTC Northampton is a local cycling group based in Northampton and the surrounding villages. We are part of Cycling UK whose members enjoy benefits such as third-party insurance and access to advice on commuting, leisure riding and touring. We aim to be an open and friendly group, and we regularly welcome new riders. If you are looking to join a group of keen and friendly cyclists of varying ages and ability then we believe this will be the club for you. Each weekend, throughout the year, there is a programme of organised rides, ranging from short leisure rides to more challenging all day adventures exploring the many quiet country lanes that can be found in Northamptonshire and its neighbouring counties. For more information on the current programme of local rides please take a look at our Rides Calendar. We also recommend joining our Yahoo mailing list (see Contact Us) for up to date discussions and information. You can also visit our active blog, or follow us on Facebook or Twitter. Hope to see you soon, CTC Northampton.